Bob Huber was elected to the Ventura County Board of Supervisors representing the Fourth District in June 2018 and sworn into office January 2019. Previously, he server the City of Simi Valley as the Mayor from December 2010 to December 2018 and as a Councilman from 1980 to 1984, during which time he focused on such issues as fiscal management, affordable housing, senior citizen services, and environmental and historic preservation. Professionally, Supervisor Huber was self-employed as a private practice attorney for almost 40 years. Prior to starting his practice, he served as a Deputy District Attorney, and before that, was the founder/owner of Huber Chapel Mortuary for nine years. Bob Huber’s legal career also includes service as a Superior Court Judge Pro Tem since 1981. Bob Huber holds an Associate of Arts degree in Mortuary Science from San Francisco College of Mortuary Science, a Bachelor of Arts degree in Business Administration from University of the Pacific, Stockton, and a Doctorate of Jurisprudence from the San Fernando Valley College of Law. Supervisor Huber’s public leadership includes serving as an elected Trustee of the Ventura County Community College District from 2004 to 2010 (Board Chair 2009 & 2010), Co-Chair of the Boys and Girls Club of Simi Valley’s Annual Auction from 2007 to 2009, member of the Simi Valley Community Foundation Board 2002-2011 (2010 Chair, and Founder/Co-Chair of the Mayor’s Charity Dinner), President of the Rotary Club of Simi Valley (1992-1993), Community Chair for the Simi Valley Unified School District’s 1989 school bond measure, founding Steering Committee member of the Simi Valley Education Foundation and Leadership Simi Valley (1988-1989), Chair of the United Methodist Church of Simi Valley Administrative Board (1972-1975), Chair of the Simi Valley Boy Scout District (1972—1973), President of the Southeast Ventura County YMCA (1971), and President of the Simi Valley Chamber of Commerce (1970 and 1971). 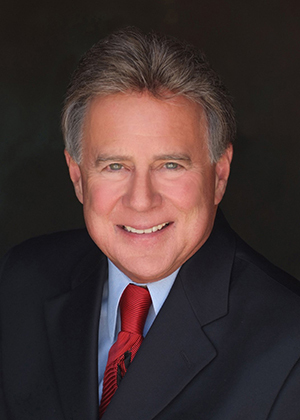 Supervisor Huber has received extensive recognition for his community service, among them the Simi Valley Cultural Arts Center Foundation Pillar of the Arts Award (2016), Ventura County Bar Association Nordman Public Service Award (2009), Simi Valley Rotary Club Rotarian of the Year (2007), Simi Valley Chamber of Commerce Man of the Year (1970), Citizen of the Year (1989), and Strathearn Lifetime Achievement Award (2007), Simi Valley Boys and Girls Club Benefactor of the Year (1993), being named one of the “Five Outstanding Young Men” in California by the California State Jaycees (1973), the Ventura County 12th District PTA Council Honorary Service Award (1972), and the Simi Valley Jaycee Distinguished Service Award (1971). Supervisor Huber represents the County of Ventura and the constituents of the Fourth District at the Air Pollution Control Board, Ventura County Public Financing Authority, Economic Development Collaborative of Ventura County, Ventura Council of Governments, Ventura County Managed Care Commission, Ventura County Transportation Commission, Judicial Policy Council, Community Commission for Ventura County and the Eastern Ventura County Conservation Authority. The Fourth District includes the Cities of Moorpark and Simi Valley, and the unincorporated communities of Box Canyon, Chatsworth Peak, Home Acres, the Santa Susana Knolls, Sinaloa Lake, and the Tierra Rejada Valley. Supervisor Bob Huber is married to Deb Holler and has two adult children, Todd and Chris. Please do not hesitate to contact my office if we can be of any assistance to you on any county-related matter. I am privileged to serve as your Fourth District Supervisor and look forward to hearing from you.